This is the seventh chapter of The Architects Guide to Choosing the Right Carpet. Bold, exotic and complex, the new opulence overwhelms with pattern on pattern, jewel-like colours and rich textiles. Highly decorative interiors are distinctly modern, while referencing historical elements such as traditional textile patterns and classical artworks. 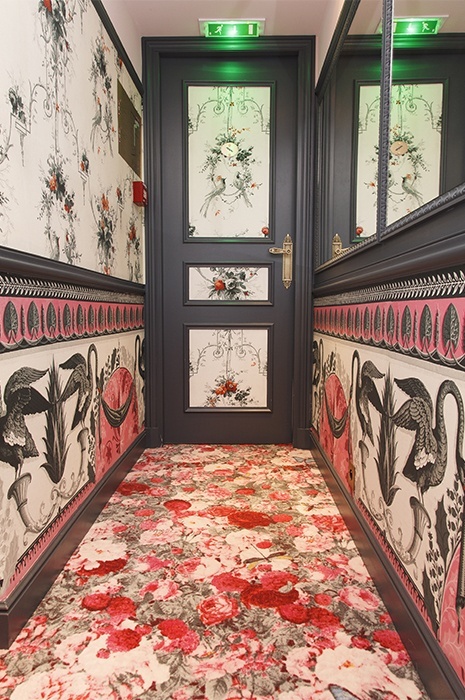 To achieve this no-holds-barred look of decorative delight, custom carpet is an essential element in rich jewel tones and bold patterns such as florals and paisleys based on traditional textile and wallpaper designs or classical artworks. It’s all about achieving a balance that is at once lush and untamed, witty and supremely elegant. Nature equals nurture and bringing nature into urban environments is important to our well-being. Studies have shown that if we can’t bring real nature indoors, then colours and patterns that mimic nature still have a beneficial effect. Being close to nature and natural forms is known to reduce stress levels and increase productivity and the concept of biophilic design that incorporates natural elements is being increasingly embraced in modern workplaces. 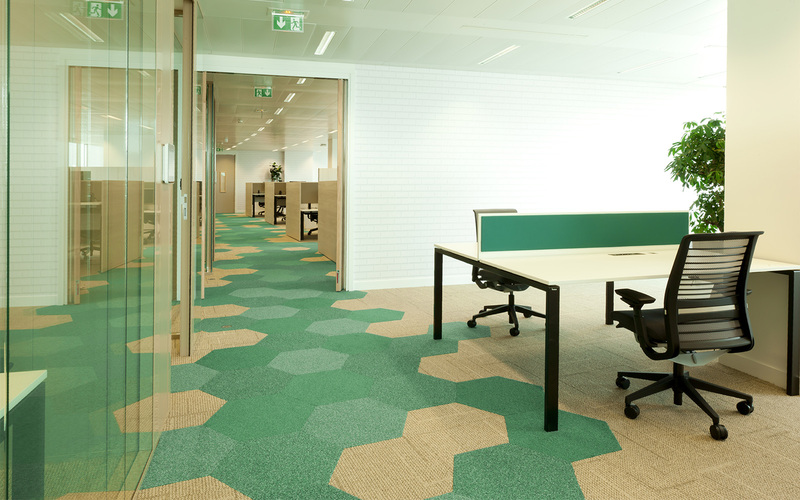 Carpet can be an essential ingredient in creating a healthy environment based on the principles of biophilic design. 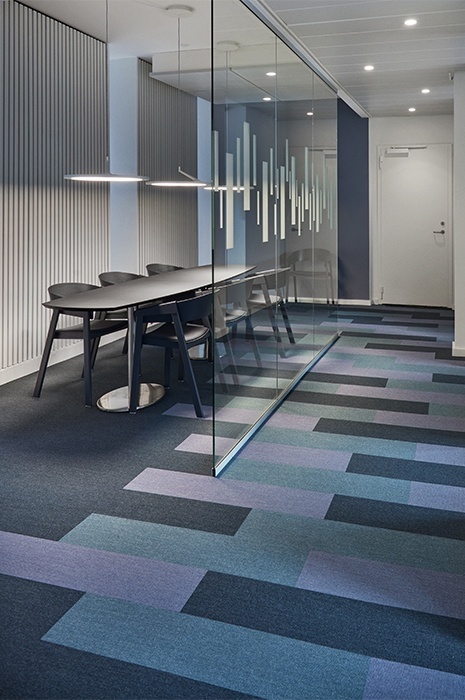 Custom designed textured carpet that mimics the random patterning and colours of watercourses, forest floors or cloudy skies subliminally brings the outdoors in, introducing the organic into the urban. 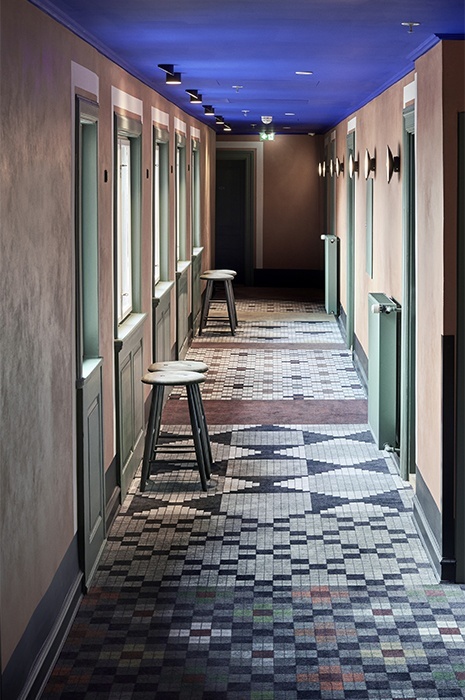 With custom carpet designs now more accessible than ever, and available in fresh and exciting colours, we’re seeing more commercial interiors where a bold carpet design throughout is the major design statement, with all other materials being much more subdued. 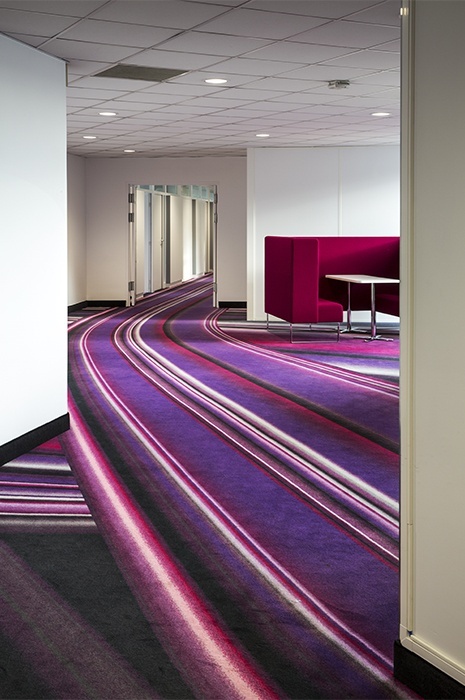 In many cases the carpet design alludes to the company or its products, making a subtle but powerful brand message. 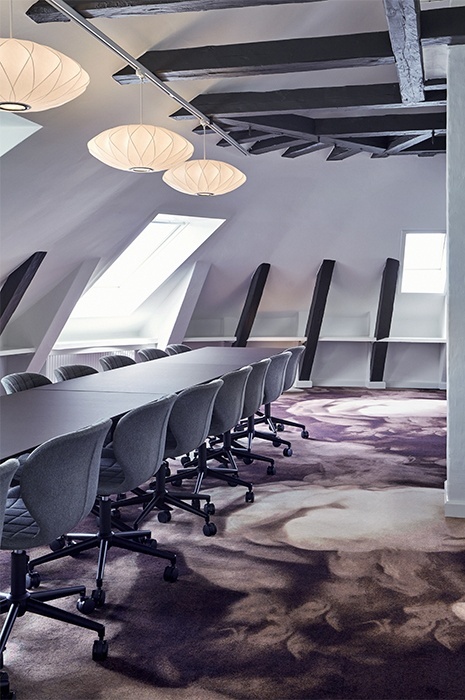 A prime example is the office of French paint manufacturer Akzo Nobel, where a design of bold brush strokes on the custom carpeting takes centre stage and makes an electric design statement. The improvement in the quality of carpet tiles and the greater number of shapes they are available in has led to a movement towards geometric designs for flooring of almost endless variety. 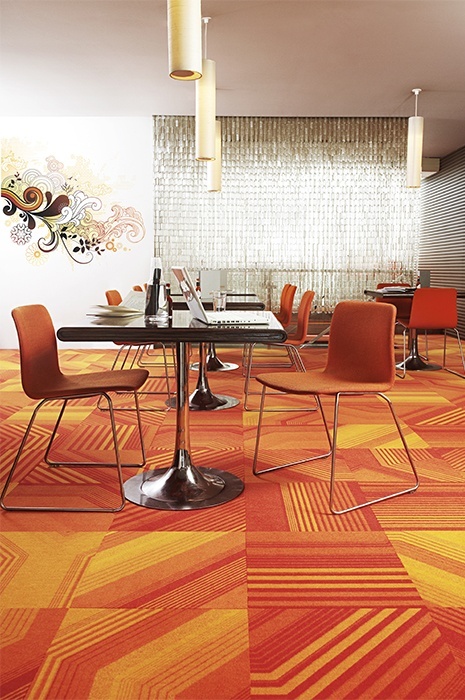 While wall to wall carpets can offer many different geometric designs due to advanced dye injection technology, designers are also playing with carpet tiles in different sized squares, planks, hexagons and triangles to create flooring designs that are energetic and lively for many different applications where the versatility of carpet tiles is preferred over wall to wall carpeting. 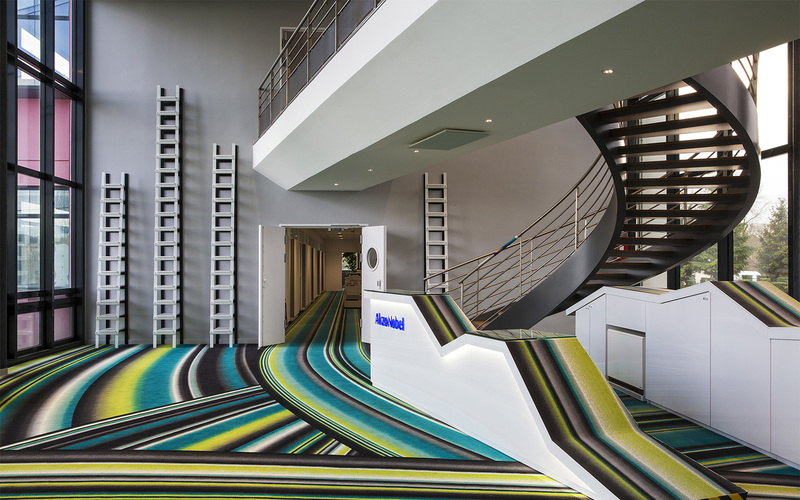 These days, there really are practically no limits to what can be dyed onto a custom carpet. You could literally forward a jpeg image and (with some help from the manufacturer) have it made into a carpet. So whatever tone or style you are seeking to create in an interior, there’s a carpet right for your project. And if you can’t find it, a quality carpet supplier can create it for you. 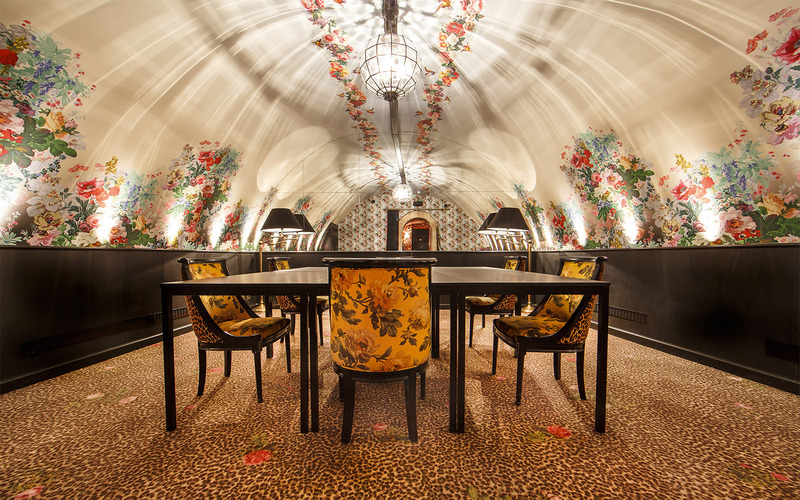 Whether you’re inspired by a textile, a scrap of wallpaper, a photograph of clouds or an ancient symbol, the trained designers at your manufacturer can readily help you turn it into a carpet. 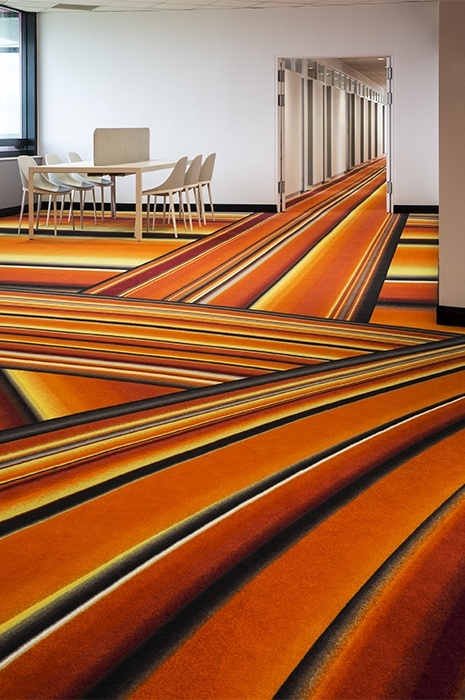 For our next blogpost, we will turn attention toward planning and choosing carpets for office projects. 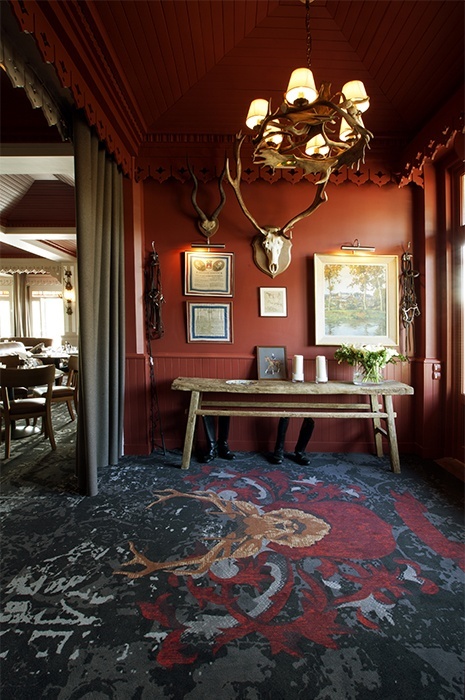 Still not full of ideas for your next project, check out 10 carpet cases we love, to see many more ways to use carpets in your interior design.